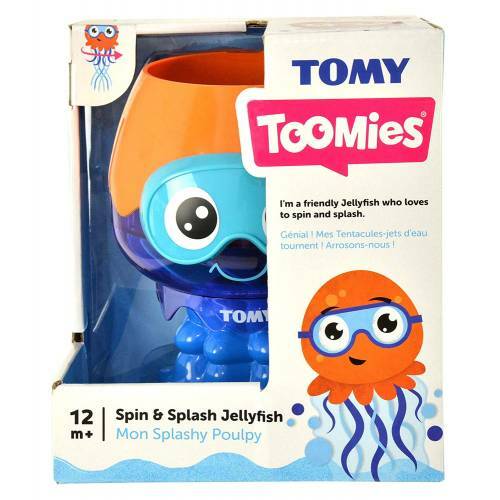 The Splash and Spin Jellyfish from 'TOMY Toomies' turns any bath time into play time, thanks to its magical fountain of water. 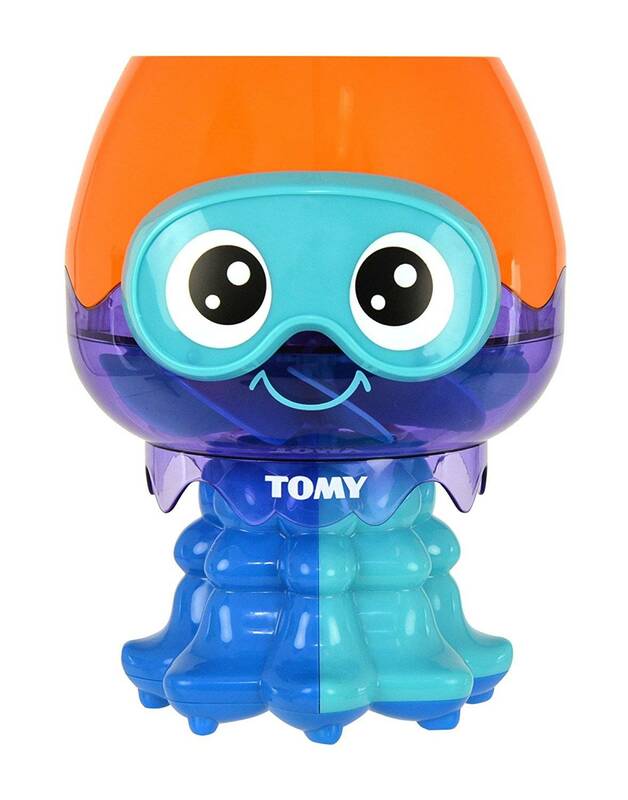 Dip the jellyfish under water and watch it fill up. Then when everyone is ready, hold the jellyfish up high and enjoy as it spins around, cascading water in every direction. 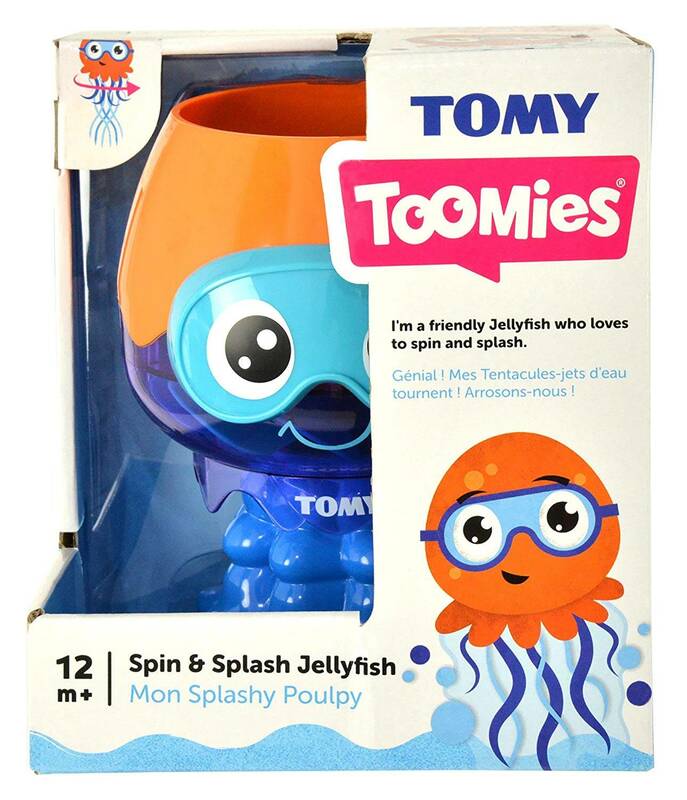 Try it in the bath, in the Puddling pool.This toy will add endless fun to bathtimes and is a great way to cool down on a hot day. 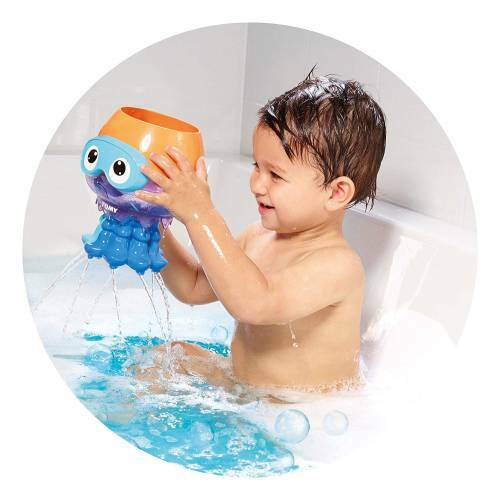 Perfect for getting your little ones used to the water.